A.J. Hammer is the host of HLN's evening show, Showbiz Tonight. He is based in CNN's New York bureau where he has hosted the show since its launch in 2005. Hammer also serves as an entertainment correspondent for CNN, hosting the network's daily entertainment reports and live awards show coverage. 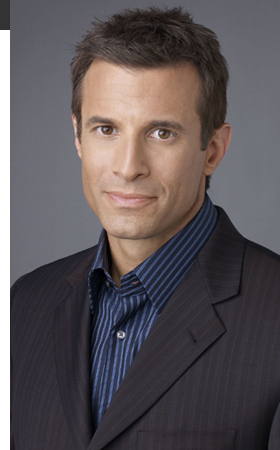 Hammer joined HLN AND CNN after hosting Court TV's crime and justice entertainment show, Hollywood Heat. Hammer began his career at WNBC Radio in New York City at the age of 15 and has covered all facets of the entertainment industry ever since. As one of VH1's most recognizable personalities, Hammer hosted the network's Top Ten Countdown, special events and live awards show coverage as well as a daily music and entertainment show. His radio career includes longtime stints at New York City's Z100 and WPLJ as well as Sirius Satellite Radio. Hammer has also served as a special correspondent for EXTRA and as an entertainment correspondent for Good Day New York. He graduated with a degree in philosophy from the University of Hartford.